Long Live the Poster Revolution! | AMP Visual: Creative Graphic Design Agency, Dublin. 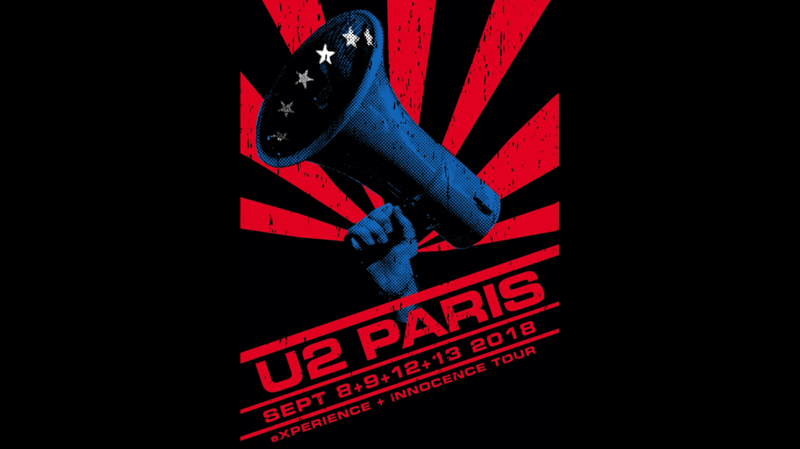 One of the best selling t-shirts of the U2.IE 2018 European Tour was a shirt with a megaphone accompanied by a city name; a custom t-shirt for each location of the tour. 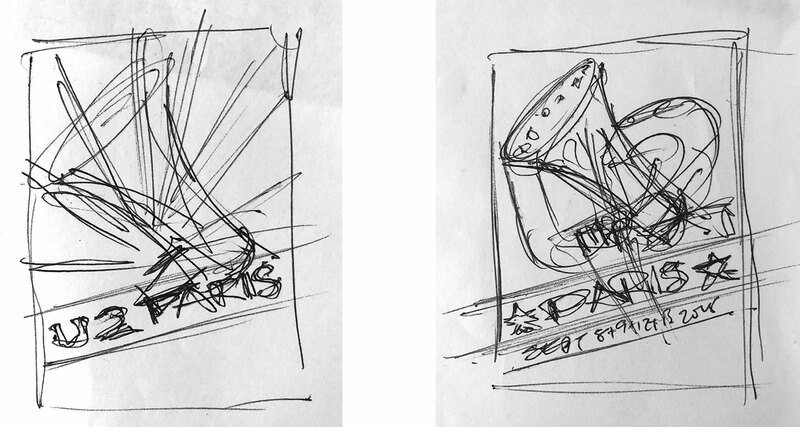 We thought it might be a good idea to turn this design into a poster. It’s ironic that the original vehicle for mass message promotion – the poster – is often seen in this digital age as a rare or exotic item. However, having grown up in the age of print, a certain amount of nostalgia is attached to the printed poster. People still love the tangible, a take home object to remind us of a great experience. For this poster, we kept the design simple and dramatic, a big punchy visual using U2’s classic colour palette. The typography was interesting and worked well with the visual. It was important that the design would suit a particular and beautiful printing technique; silk screen printing. The poster relates to an audience that would appreciate the prestige, craft and handmade nature of silk screen print. Following conversations with producer Andy in Live Nation Merchandise and printer Joshua in White Duck Editions, we all agreed on a quality bright smooth paper in A2 size. It would be a heavyweight paper, yet still suitable for rolling into a tube for ease of purchase. We could count on one hand the amount of posters as merchandise that we have produced over the years. Generally, they don’t sell well at a venue as they are so fragile. As designers, we’re quite pleased with the results. 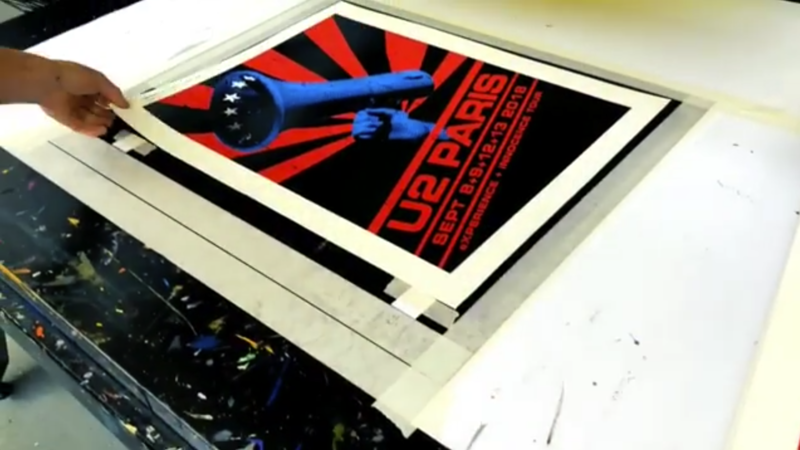 It has been a creative combination of design and production and it’s great to see that the posters have grabbed the attention and appreciation of U2 fans.